This past Saturday was an interesting day for a prom. I say interesting because this was the view from the window as I applied prom makeup. 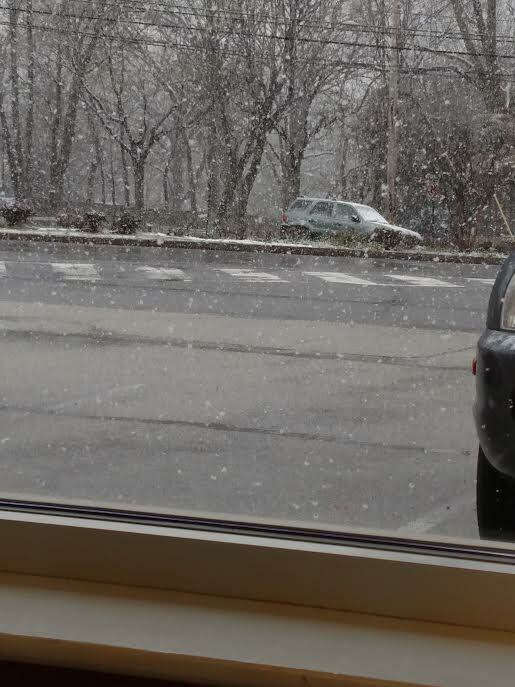 April snow! I also did makeup on a mom-to-be for her baby shower. Not the best weather for a prom or other special event. Nothing you can do about except make the best of it. 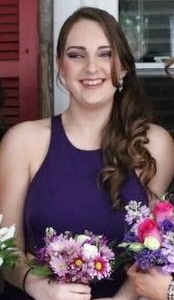 My beautiful lady attending the prom would be wearing a deep purple dress and wanted a dark smokey eye. We settled on shades of muted purple with black liner and black mascara, of course. 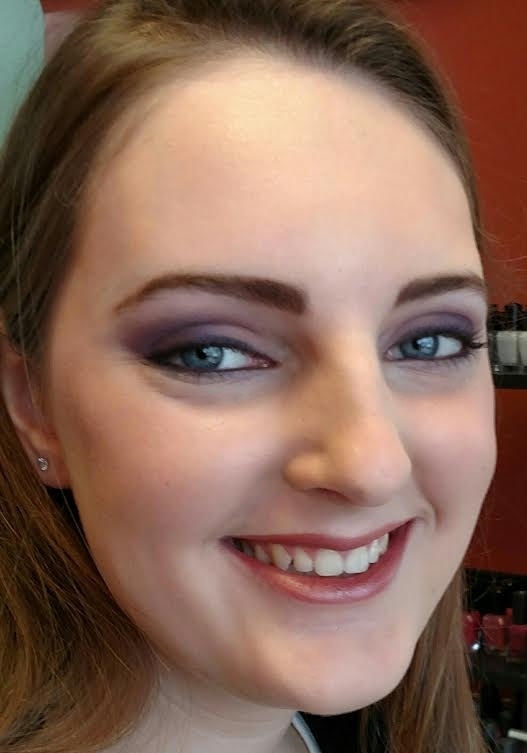 I filled her brows in a bit with brow powder to add more drama to her look then tamed the hairs with a bit of brow gel. We kept her skin light and creamy with a soft pink blush and a luminizing powder to give a gentle glow. Her lips were quite dry but had a lot of nice rosy color. A mauve lip liner defined them and a pink quartz lip color added a nice little shimmer. Before you have you makeup done..... It's a good idea to work on your lips at home to keep them moist, smooth and free of peeling skin. That way they will look their best when lip color whether it be a liner, lipstick or gloss is applied. Click here for tips to keep your lips moist and peel free.